If both are bad then I would recommend a bilateral. The doctors want you on your feet as soon as possible and its better to have only one recovery. I had suffered through 2 and didn’t want any more. It has been 8 months since my bilateral and I have been doing a ton of PT and owe a lot to the www.egoscue.com philosophy. I also am indebted to the folks on this message board for I am moving better than I have in years. I have some sore muscles but the hips feel great with no pain. the search feature on this site is really good if you want to do research and I have attempted to document my progress for anyone who is interested in getting their life back like I have. 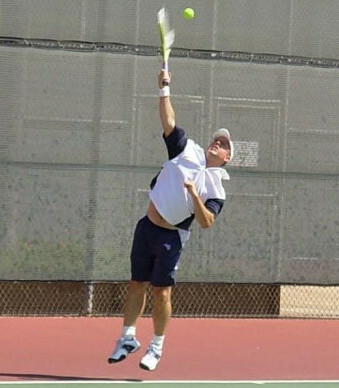 I was a bit hesitant to play but Dr. Schmalzried said at 3 months a little tennis was OK. After playing some doubles and improving in my movement combined with solid physical therapy, I felt real good. My stubborn brother went ahead and had his 2nd THR a couple weeks ago – we have a genetic thing I suppose – He never spoke with my doctor and was suprised to see me play. My brother had a THR this last Monday and wanted nothing to do with the resurfacing. He was told by his doctor that I would need to THR in 7 years – he of course did not get a consult from my doctor Schmalzried. I also went out on the clay tennis courts and hit with a friend – the doctor said no tennis until April 1 but a little rally on the dirt seemed OK. We did not play any points. Yea, I know – pushing it again. I got weak fairly quick and will wait until next week to play again but it sure felt good. Both of these activities caused some fatigue and I stopped as soon as I got tired. Still have a ways to go to be strong in the hips again but so far I sure am happy. Used to be ranked in tennis and surf all the time. I am a bit sore today but there doesn’t seem to be any damage. I have not been stretching as it seems too soon but just concentrating on getting my leg strength back. The toughest part is taking it slow, walking great and starting on my eliptical machine a bit longer, plenty of PT including lots of core exercises. 6 week check up this coming Tuesday with the Dr. I also found a study from Canada that shows a bunch of resurfacing due diligence dated November of 06 but still good.